Looking For Used Auto Parts Stores? TOYLEX R Us Aust is an Auto Wreckers, Located in Derrimut, Melbourne. We Supply Quality Used Parts to suit Lexus & Toyota Models. 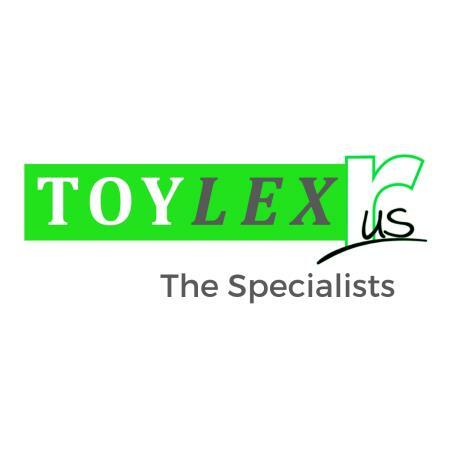 TOYLEX R Us Aust has no affiliation with or sponsorship or approval from Toyota or any member of the Toyota group of companies. TOYLEX R Us Aust is also known as the Passenger Vehicle Yard. We Dismantle and Supply Second-hand Parts from the Sedan & Hatchback Models of Lexus & Toyota. Our 4WD SUV & Commercial Yard is located in Sunshine West. The Majority of the Vehicles we Dismantle are Late to Current Model Lexus & Toyota. We Purchase Our Damaged Vehicles from Salvage Auctions all Around Australia. We Then Dismantle the Vehicle Removing any Salvageable Part. Our Number One Priority When Purchasing a Damaged Lexus or Toyota Vehicle is Low Kilometres on the Odometer. In Our Experience it the Lower the Kilometres the Lower the chances of the vehicle having mechanical issues. The Engine & Accessories are the most expensive parts of any car. Which is why it's important they are in Excellent condition. We regularly Dismantle vehicles with Under 20, 10 even under 5 kilometres. We Also have a fully equipped workshop & an experienced team that will fit & install the parts for you. There's no need to make an appointment just give us enough time to finish the job before 5 pm. Even an engine fit will be back on the road the same day. We need to begin work at 8 am. Our Workshop can Service your car & all perform all other mechanical Work. If you're in Melbourne we can deliver your parts for free. If you are anywhere else in Australia we Offer Express Delivery Australia wide. You're welcome to browse our online store for the parts you need.